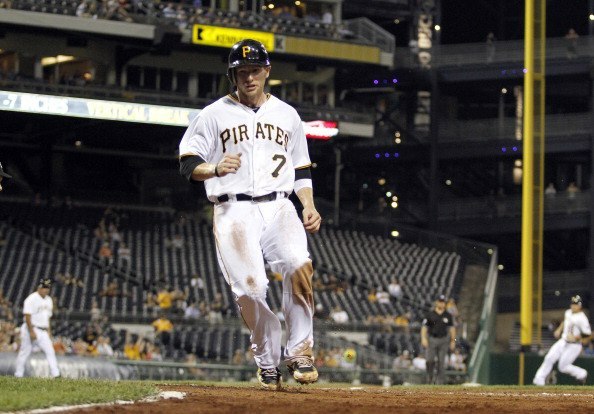 For the second straight year, the Pirates have gone from a contender to a wanna-be pretender. They were once 16 games over .500 and in the lead of the N.L. Wild Card. Things have certainly changed in the past six weeks, and, the Bucs have all but clinched a 20th straight losing season, extending their North American sports record. Individually, the accomplishments by guys like Andrew McCutchen, Pedro Alvarez, Garrett Jones, and A.J. Burnett have been admirable, but overall, this season has been in a downward spin in the past month and a half, and the fact that we sit here on the final weekend of September, and the Pirates have only won a handful of games this month, is absolutely embarrassing. 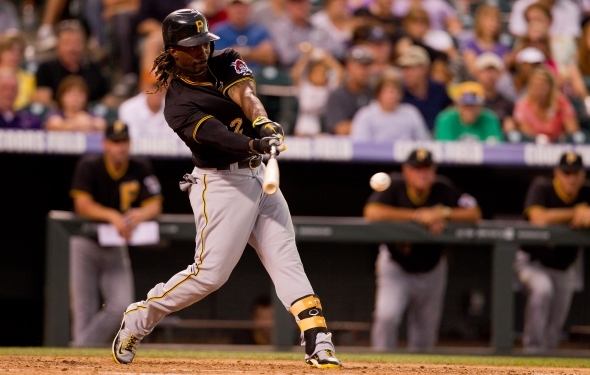 The Pittsburgh Pirates were back in action at PNC Park after a early morning win in Chicago. The Milwaukee Brewers appeared to take full advantage of this fact and took care of the Buccos 6-0 in the first game of this three game series. 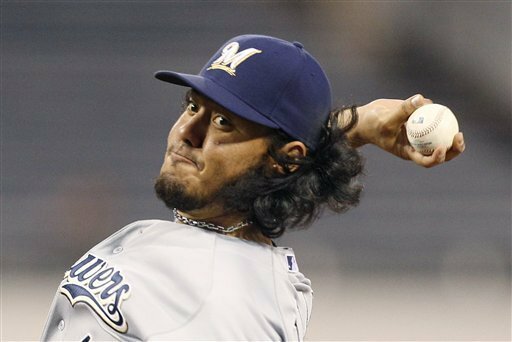 Brew Crew starter Yovani Gallardo and the bullpen silenced the Pittsburgh bats all night long. Giving up only three hits, the only threat came in the seventh when the Pirates had the bases loaded and down four runs. Jim Henderson would replace Gallardo and get Michael McKenry to pop out to second base to end the threat. 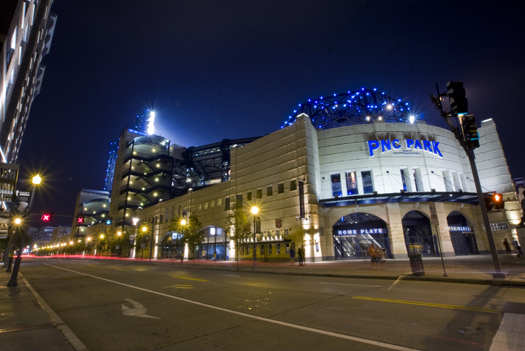 The Pittsburgh Pirates and Milwaukee Brewers kick off a three game series at PNC Park this week in a battle of two teams who have been heading in different directions since the All Star Break. After a horrible first half, the Brewers have slowly but surely climbed their way back into contention for the final N.L. Wild Card spot. The Brew Crew are 34-27 since the ASG, including a 16-12 August and 11-4 mark in September thus far. Meanwhile, the Bucs were once 16 games over .500 earlier in the season, but have suffered somewhat of an epic collapse as of late, barely managing to hold onto a .500 record, while their playoff hopes seem to be on life support. Pittsburgh is just 26-35 since the ASG, including an 11-17 August and a 4-11 September. We’ve been hearing the past few weeks that the Pirates’ September schedule was light in comparison to other teams. The Bucs entered this weekend very much in the conversation for the final N.L. Wild Card spot along with the St. Louis Cardinals and Los Angeles Dodgers. But after taking two of three from the Houston Astros earlier in the week, the Pirates were outclassed and outplayed in every facet of the game this weekend, capped by a 4-2 loss to the Chicago Cubs this afternoon. 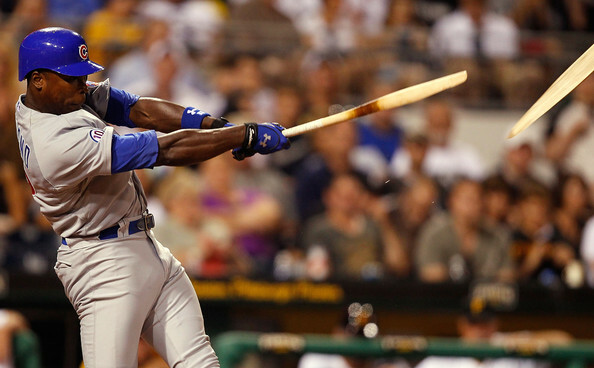 Alfonso Soriano hit a two-run go-ahead homerun in the eighth inning off Jason Grilli as the Cubbies clinched the three-game series sweep of our Buccos at PNC Park. The Pittsburgh Pirates fell victim to the Chicago Cubs again on Saturday night, but it was not because of a series of errors. 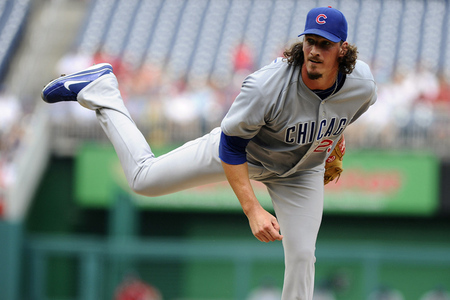 Tonight it was because of a great outing by Chicago starter Jeff Samardzija. He would go the distance, allowing two earned runs, three total, on four hits, while striking out nine Buccos and walking one. Pittsburgh was able to jump out to a two run lead in the first inning when Pedro Alvarez drove in two runs with an RBI single to right field. 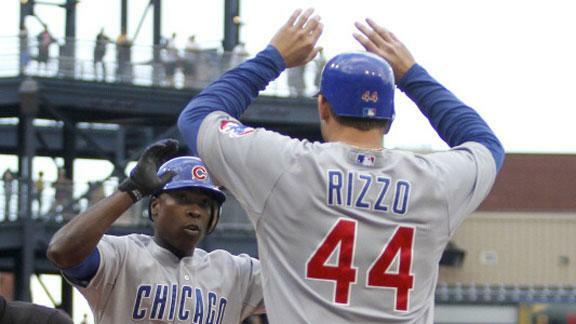 The Cubs would chip away at that lead by scoring one run in each the second and third inning. The tie game would be broken up in the fifth on a sacrifice fly that scored Tony Campana. There are some games that are so embarrassing and depressing to talk about, it’s not even worth doing so. Tonight was just one of those games for the Pirates, who were handed a 12-2 beating by the Chicago Cubs in front of a packed house at PNC Park. While the Cubs did score 12 runs tonight, much of the Pirates’ wounds were self-inflicted. In fact, only half of the runs that Chicago scored tonight were actually earned runs. How is that possible? The Bucs committed seven errors in the game. Seven! It was an absolutely disgusting display of baseball from the entire Pirates’ team. Brock Holt and Starling Marte each committed two errors, while Gaby Sanchez, Rod Barajas, and Josh Harrison each committed one as well. It’s incredible how the perception of a baseball team can change in a matter of only a few days. After their Labor Day loss to the Houston Astros on Monday, the Pirates had dropped four straight games and had also lost some ground in the N.L. Wild Card picture. Many began to write them off in terms of any type of playoff contention, and were merely “hoping” for a winning season. Now, flash forward a few days, and the Pirates are right back in the middle of the race, having won two straight against the Astros, aided with a loss by the St. Louis Cardinals. The Pirates are a game and a half out of the final playoff spot, and with a conceivably favorable schedule remaining, many fans have decided to be optimistic once again about the Bucs’ chances down the stretch. The past two nights have shown what a good team needs to do against a bad one. The Pittsburgh Pirates jumped out to early leads, played solid defense, and received very good pitching performances. Tonights 6-3 win over the Houston Astros, also put the Buccos only a game out of that last wild-card spot in the National League. Kevin Correia was at his best tonight, clinching win number ten on the year, and hitting that double digit win mark for the fourth straight year, which is pretty good for a guy that seems to get the most ribbing from media and fans. 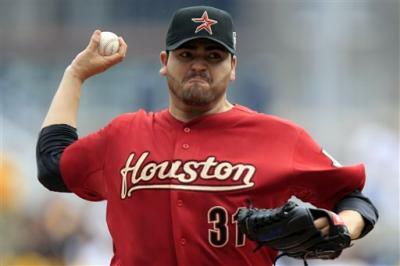 He would go six innings allowing one run on four hits while striking out and walking one batter.